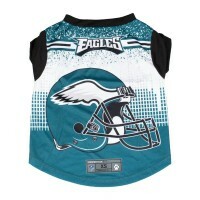 Dress your pet withPhiladelphia Eagles team sport clothes. 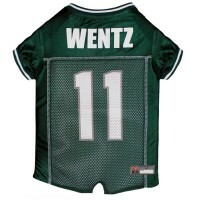 Let your pet support your favorite player in this great looking Carson Wentz's pet jersey. 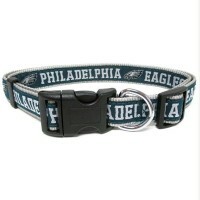 Feat..
Let your pet show some team spirit in this stylish adjustable Philadelphia Eagles Argyle Pet Collar .. 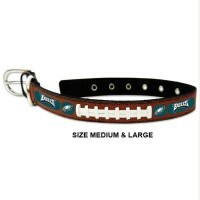 Your cat can support your team too with this Philadelphia Eagles breakaway cat collar! 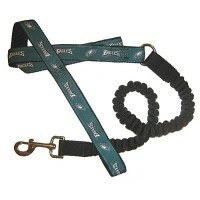 This Pets FIr..
Show your team spirit with this Philadelphia Eagles bungee ribbon pet leash! 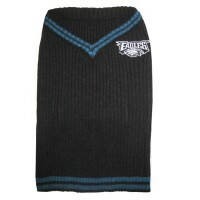 The bungee will absorb ..
Get your dog ready to cheer for the team with this officially licensed NFL dog cheerleader outfit!De.. 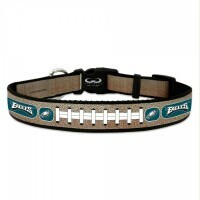 Your pet will be strutting in style with this Philadelphia Eagles leather football pet collar from G..
Show your team spirt with this Philadelphia Eagles pet collar! 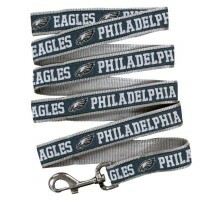 Designed with full-color, double-side..
Keep your pet under control and support of your team with this Philadelphia Eagles dog leash! 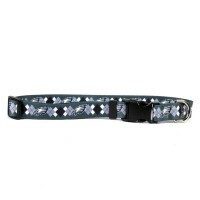 Featur.. 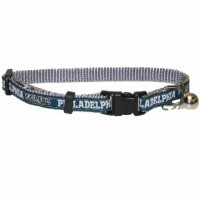 Your pet will look great and show their team spirit in this "Property Of" Philadelphia Eag..
Keep your pet under control and support your team with this stylish Philadelphia Eagles Chain & ..
Officially licensed Philadelphia Eagles Mesh Pet jersey. 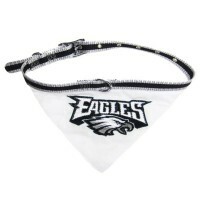 The Jersey features full color team graphic..
Keep your pet under control with this Philadelphia Eagles nylon pet leash by Yellow Dog Design! 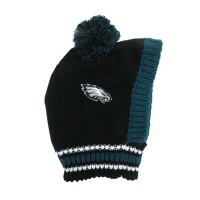 This.. 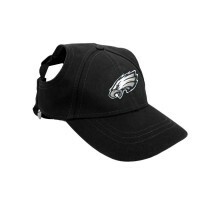 This Adorable Philadelphia Eagles Pet Baseball Cap is the perfect accouterment for your pet's o..
For sport's fans, this officially licensed Philadelphia Eagles Pet Car Seat Cover protects your..
Show your team spirit with this Philadelphia Eagles dog collar by Pets FIrst! 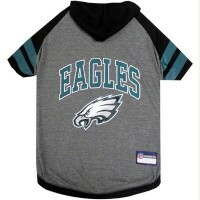 Collar is made with ri..
Keep pet warm on those cool days, with this Philadelphia Eagles Pet Crewneck Hoodie while supporting..
Show your team spirit and dress your pet up in this Philadelphia Eagles Pet Hoodie T-Shirt. 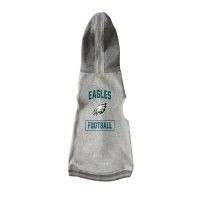 It featu..
Keep your pet toasty warm on those cold game days with this cute Philadelphia Eagles pet knit hat. 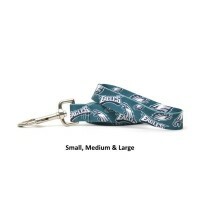 T..
Keep your pet under control and support your team spirit with this Philadelphia Eagles Pet Leash! It.. 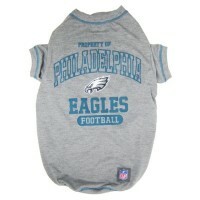 Your pet will be ready to tailgate with this Philadelphia Eagles Performance Pet T-Shirt. 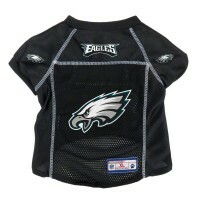 The comfor.. 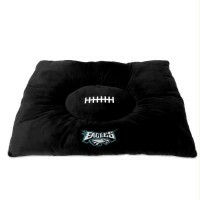 This officially licensed Philadelphia Eagles Pet Pillow Bed also works great as a crate bed. 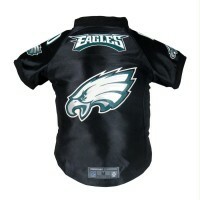 The dim.. 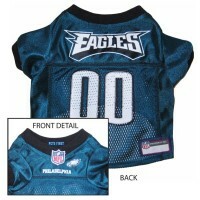 This Philadelphia Eagles Pet Premium Jersey is perfect for the committed sports fan! 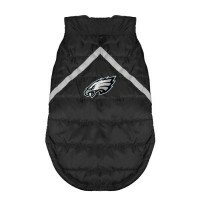 Your pet will b..
Officially licensed NFL Philadelphia Eagles Dog Puffer Vest will keep your dog warm and comfortable ..
Show your team spirit and keep your pet safe with this Philadelphia Eagles Reflective Football Colla..
Show your team spirit and keep your pet safe and under control with this Philadelphia Eagles Reflect..